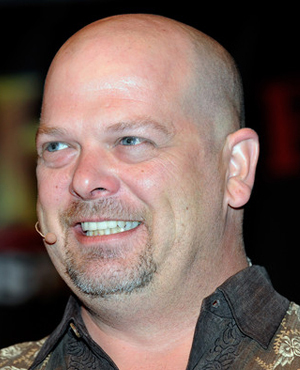 After 28 years in the business, Rick Harrison is an expert when it comes to spotting anything fake or stolen. As far as big-ticket items, Rick is the man for the job. Spotting a fake Cartier watch that most people would mistakenly purchase for $30,000 is just one of his many skills. Often acting as the middleman between his father and his son, Rick is the glue that holds this family and business together. Trained in the pawn business from the age of 13, Rick was born a hustler. He even dropped out of high school to pursue his $2,000-a-week business of selling fake Gucci bags. With enough money to partner with his father at the age of 23, he never looked back.